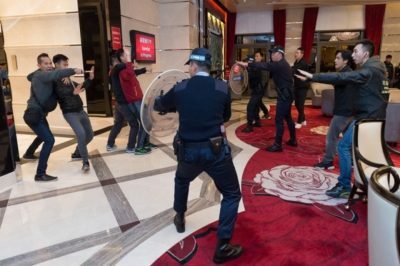 Macau is the biggest gambling hub on a global scale and as such, maintaining a high level of security is of utmost importance for the well-being of the customers and guests of the facilities. This Tuesday saw the first emergency response drill which was performed by the police and as it has been confirmed the results from it mark an excellent performance of the Unitary Police Service. The Galaxy Macau Casino Resort was the site where the action took place and the emergency response drill was conducted with the help of various government law enforcement agencies. 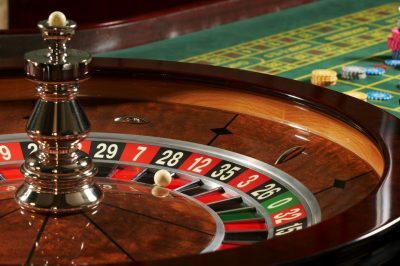 Since the subject is highly discussed in the recent months and there is a lot of attention being brought to the security subject in casino locations, there was naturally quite the interest towards the preparation for the drill. As many as 350 people participated in the operation, which included a total of nine government departments to the likings of the Unitary Police Service, the Judiciary Police, the Public Security Police Force, and the Gaming Inspection and Coordination Bureau. The latter is also known by its acronym DICJ, and it serves the purpose of Macau’s gaming authority. The ultimate goal of the operation was to guarantee that the authorities have the capacity to respond in a rapid fashion to a potential threat or criminal activity going on. In order to put the public-sector departments to the ultimate test, the government opted for the special operation, which had the objective to prove that the local gambling field could coordinate and handle properly a response to criminal incidents of larger proportions. The simulation took about an hour to be completed and it featured a robbery scenario. In the emergency drill, there were four robbers which were prepared for the robbery with knives, which they used to attack a group of people. Shortly after that, they let a suspected explosive device in the gambling venue. To this, they added the factor of people being held captive against their will and the gaming room was transformed in the location where some hostages were held. In response to the threat to the well-being of the customers, both the police and casino security conducted a complete evacuation of the casino resort which was immediately followed by taking care of the injured individuals. It was at that point that the bomb squad appeared at the scene and took care of the potential threat of explosive while the police mediator started the negotiation process. The last part of the operation included the arrival of the Special Operations Group which rescued the individuals held against their will and this put an end to the emergency drill. It was reported that this is going to be the first of several operations which will take place throughout the year in order to test the level of preparedness of the authorities.